Feathered Friends I am thankful for you! I was looking though some old cards a few days ago and decided that it might be fun to remake some of them with new products. 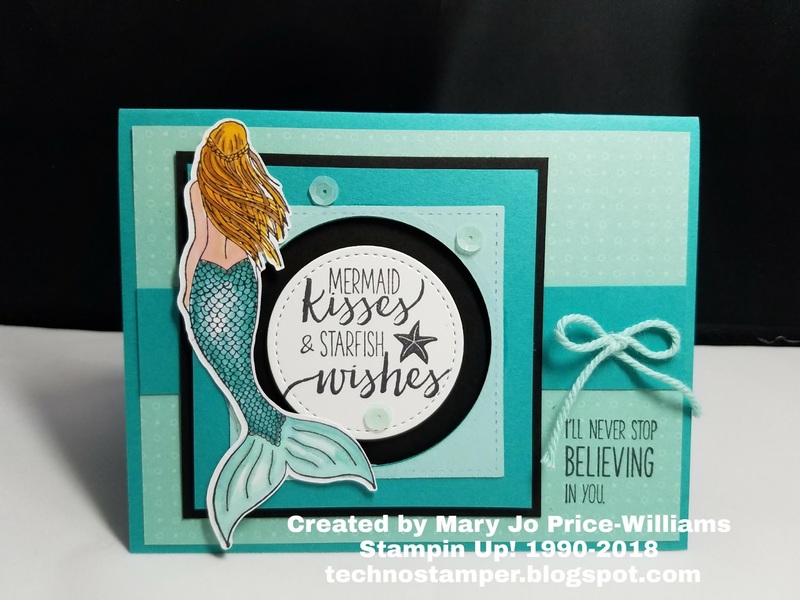 Love how different a card can look when you recreate it with different products and a new perspective. 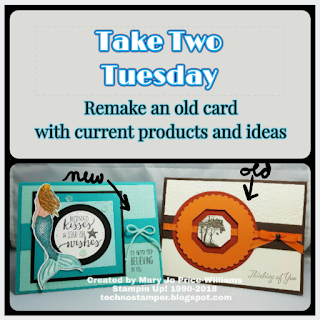 Each Tuesday I will dig though my stash for an older card and recreate it with current products. I would love to know what you think of this idea. Maybe I should add a linky thing so you can play along????? We shall see... you let me know if there is any interest. I hope you enjoy this new weekly addition to my blog. Even though you are getting a look at both cards above that is just going to be my logo for the Take Two Tuesday post each week, so be sure to look down further to see the actually cards for the week. I think I will start with the new card. I just got this set this morning! And can I just say I love love love it! I am not sure what it is but I have a strange endearment towards mermaids. Maybe it is my love for water--pool, beach, jacuzzi, etc. Or maybe it is my need to escape this crazy world lately??? No clue but I just love them. So I know it was going to have to work with this weeks challenge. You can not see in the picture but there are faint lines of glitter on the fin of the tail--it looks really pretty and sparkly. You also may not be able to tell that the center layer with the saying on it is lifted up as well as the Bermuda Bay and Pool Party Layer that leaves the black layers level with the card for a little dimension. the colors used on my card are some of my favorites right now--they are so relaxing to me. I will post the entire list of supplies at the end of this post. Along with links because I KNOW you are gonna want this adorable mermaid set! Obviously this is a more masculine card that the one above. 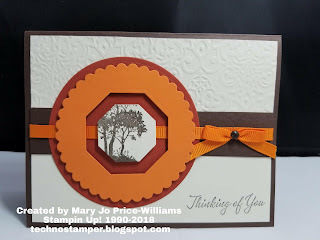 I actually still like the different dies that are used on this card--but since I am remaking the cards with current Stampin Up product I did not want to use them. I used to love this color combo too. I don't remember the last time I used a brad! I used to love wrapping them around the ribbon like that. It kept the ribbon laying nice and neat. DO YOU LIKE THE OLD OR NEW CARD BETTER??? Remember to use the Hostess Code for the month if you order.